267MTSR114.38-PNI Arched rosette with 1-1/2" oval knob shown in polished nickel. Available in four finishes. 267MTSR114.32-GSN Arched rosette with 1-1/4" oval knob shown in satin nickel. Available in four finishes. 267MTOV114.38-DOR Oval rosette with 1-1/2" oval knob shown in bronze. Available in four finishes. 267MTOV114.32-PCH Oval rosette with 1-1/4" oval knob shown in polished chrome. Available in four finishes. 267MTFL113.38-PCH Fleur back plate 6-1/2" with round 1-1/2" knob shown in polished chrome. Other size & finish options available. 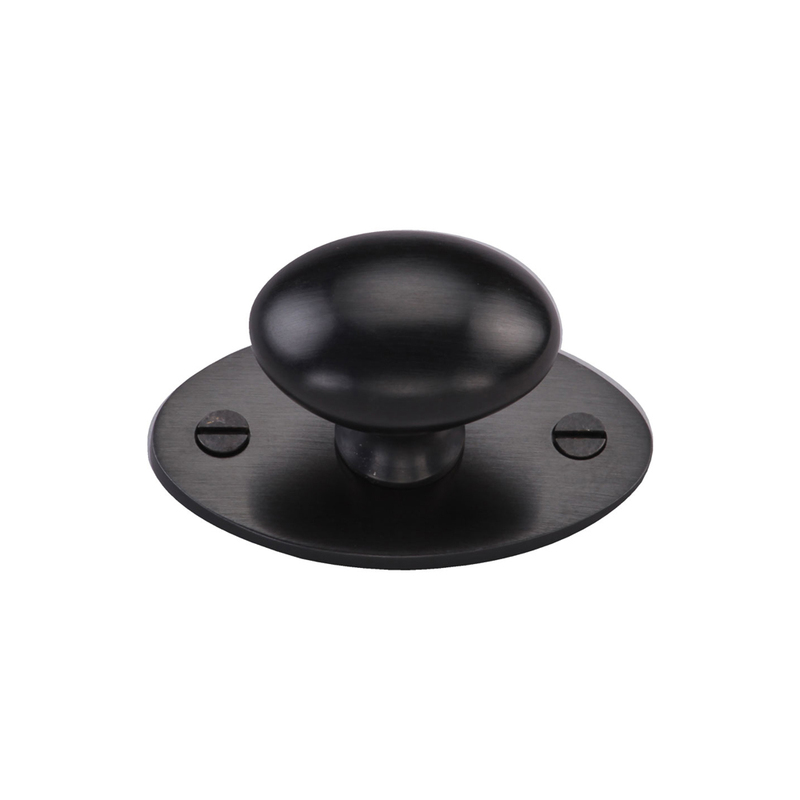 267MTFL113.32-DOR Fleur back plate 6-1/2" with round 1-1/4" knob shown in bronze. Other size & finish options available. 267MTFL114.38-GSN Fleur back plate 6-1/2" with oval 1-1/2" knob shown in satin nickel. Other size & finish options available. 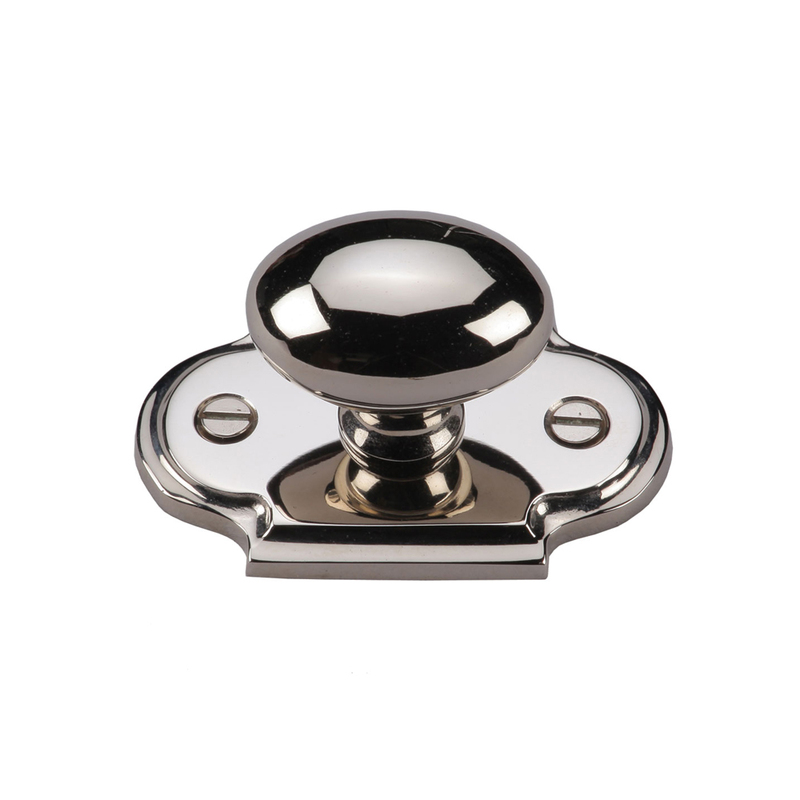 267MTFL114.32-PNI Fleur back plate 6-1/2" with oval 1-1/4" knob shown in polished nickel. Other size & finish options available. 267MT1090-132-GSN Front mount sash lift 6-3/16" overall shown in satin nickel. Available in other size and finishes. 267MT0345-096-PNI Flat sided handle 96mm ctc shown in polished nickel. Available in three other sizes and finishes. 267MT0345-153-DOR Flat sided handle 153mm ctc shown in bronze. Available in three other sizes and finishes. 267MT0345-203-PCH Flat sided handle 203mm ctc shown in polished chrome. Available in three other sizes and finishes. 267MT0376-096-DOR Sash handle 96mm ctc shown in bronze. Available in three other sizes and finishes. 267MT0376-153-GSN Sash handle 153mm ctc shown in satin nickel. Available in three other sizes and finishes. 267MT0376-203-PNI Sash handle 203mm ctc shown in polished nickel nickel. Available in three other sizes and finishes. 267MT1700-DOR Front mount bin pull 3-13/16" overall shown in bronze. Available in three other finishes. 267MT2700-GSN Smooth bin pull 3-1/4" overall shown in satin nickel. Available in three other finishes. 267MT2232-096-PNI Pyramid handle 96mm ctc shown in polished nickel. Available other sizes and finishes. 267MT0337-203-DOR Square bar handle 203mm ctc shown in bronze. Available in three other sizes and finishes. 267MT1800-153-PCH Flat bow handle 152mm ctc shown in polished chrome. Available in other sizes and finishes. 267MT2232-35-DOR Pyramid knob 1-3/8" shown in bronze. Available in three other finishes. 267MT3990-32-PCH Flat top knob 1-1/4" shown in polisehd chrome. Available in other sizes and finishes. 267MT973-32-GSN Ribbed knob and back plate 1-1/4" shown in satin nickel. Available in three other finishes. 267MT3985-032-PNI Ringed knob 1-1/4" shown in polished nickel. Available in other sizes and finishes. 267MT3624-32-GSN Stacked round knob 1-1/4" shown in satin nickel. Available in other sizes and finishes. 267MT0113-38-DOR Mushroom knob with backplate 1-3/8" shown in bronze. Available in other sizes and finishes. 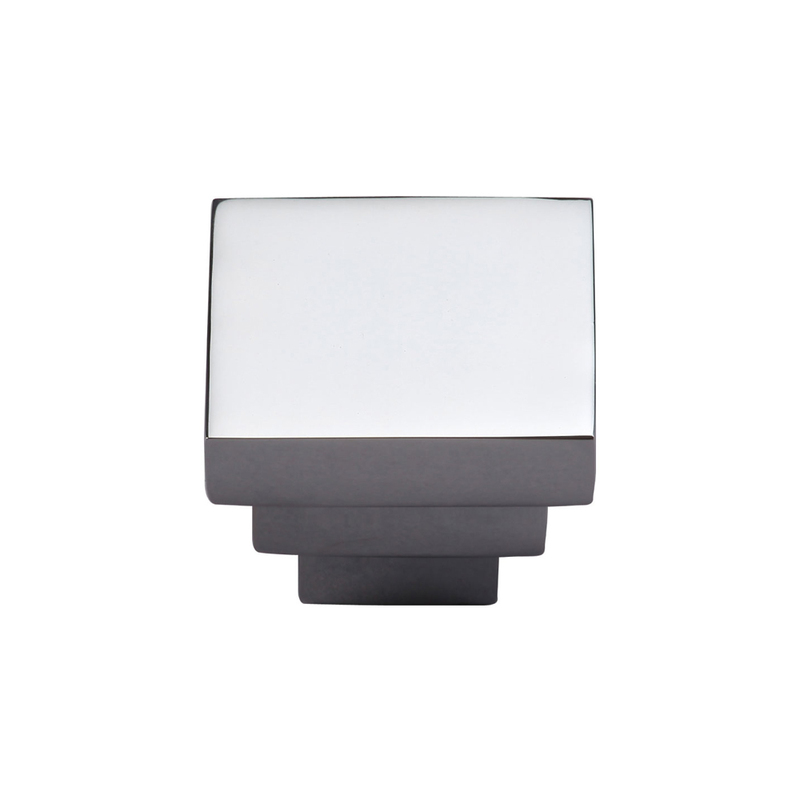 267MT3672-32-PCH Stacked square knob 1-1/4" shown in polished chrome. Available in other sizes and finishes. 267MT2234-35-PNI T-shape knob 1-3/8" shown in polished nickel. Available in other finishes.